Sharmon Ingraham, Senior Associate, will present at the Nassau Conference Bootcamp on the topic Trusts: Developments in Trust Law and Administration. Sharmon is a member of the firm’s Private Client and Wealth Management practice group. Her practice includes advice to trust companies on matters concerning trust administration and creation, estate administration, private client wealth management, wills, company law and international commercial contracts. 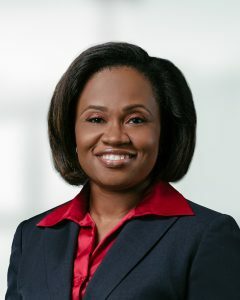 She also has experience in trust, commercial and maritime litigation, ship financing and registration matters, and banking and insurance regulatory matters. Sharmon holds a dual honours degree in Law and International Politics from the University of Keele. She is a member of STEP and Director of STEP (Bahamas).